Sure he might make bizarre calls to Howard Stern, but he definitely is an amazing artist. I really like this Buddhist art, especially the background texture and colors. 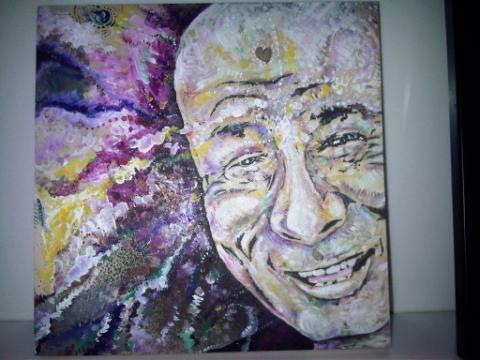 Actor or not, he's definitely a talented painter, especially when it comes to Buddhist art.